Matteo Guendouzi has taken to social media to reveal his delight at having signed for Arsenal from Lorient this week. The 19-year-old became the Gunners’ fourth signing of the summer after signing a long-term deal with the Gunners to move to The Emirates ahead of Unai Emery’s first campaign in charge. Guendouzi has already linked up with his new team-mates at The Emirates and he has also trained at the London Colney base for the first time this week. The teenager becomes Arsenal’s fourth signing of the summer transfer window after the arrivals of Bernd Leno, Stephan Lichtsteiner, Sokratis Papastathopoulos and Lucas Torreira. And Guendouzi, who will wear the number 29 shirt for the Gunners, seemed to be in high spirits as he posted a picture on his personal Instagram account following the move. 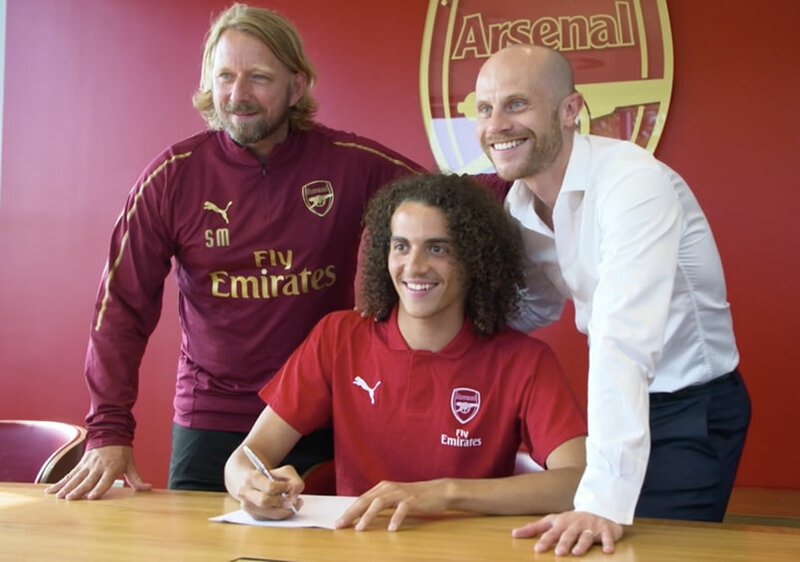 Guendouzi posted the picture above on his personal Instagram account and wrote the caption: “I am really happy to join the legendary Arsenal Football Club. “I wanted to thank you all for the trust you put in me and I’m looking forward to training and playing on the renowned Emirates Stadium with my new team. “I’m going to fight for the club and the fans. Arsenal will be aiming to at least break back into the top four next season as they look to try and bounce back and enjoy a strong campaign under Emery. The Spaniard has been drafted in to take over at The Emirates after Arsene Wenger stood down at the end of last season.